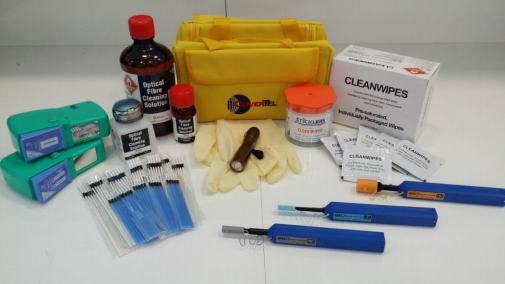 Now available through Alberfield, as WA Channel Partner to CoverTel, is a range of fibre optic cleaning tools and accessories to effectively remove the toughest contaminants in any fibre network. Our cleaning tools are Telstra approved and provide all the necessary items to ensure your optical fibre network is performing at its peak. Our tools are available to purchase in complete kits, as single items or in cartons. See our Fibre Optics page for our complete range of tools.